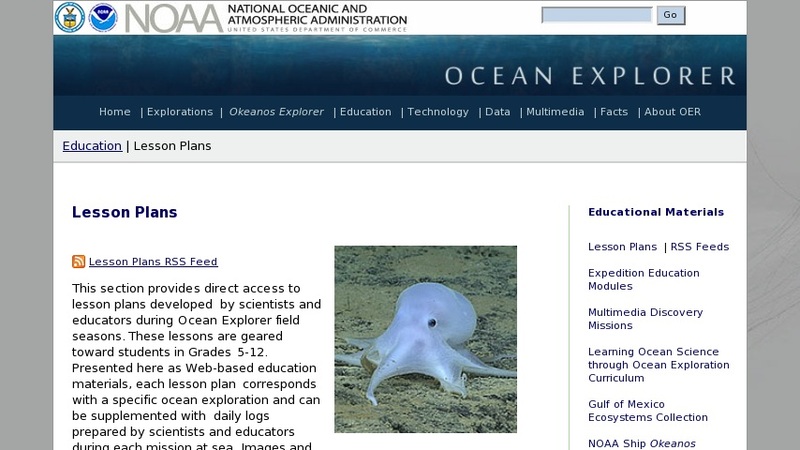 Access to over 160 lesson plans developed by scientists and educators during NOAA's 2001-2004 Ocean Explorer field seasons. Search by grade level, geographical region, subject, specific expedition, or keyword. Lessons correspond with a NOAA exploration, can be supplemented with daily mission logs, images and video. They include: Learning Objectives, Background Information, Evaluations, Extensions, Resources, Student Handouts, and more. Incorporated in "Learning Ocean Science through Ocean Exploration" curriculum. Links to professional development opportunities.